Getting started with OpenVSwitch | Tech and me. UPDATE: I was not able to setup openvswitch using a Wireless Interface but wired interface works without any issues. So in the diagrams below I should use a wired interface, apart from that the whole tutorial will be same. My system is connected to Wifi and my existing IP is 192.168.0.109 . My wifi supports DHCP. My mobile is also connected to same Wifi. Here we have a virtual switch which is virutally connected to the access point and now even though both VMs are spawned on the Wireless Notebook, still to the network it appears as if they are independent machines. I assume that you have virtual box installed already. Also keep ubuntu 14.04 or 16.04 server image ready. You can use the desktop image also, I’m recommending server image since its lite. Before typing in the commands I strongly recommend you guys to check out these videos. They explain very well what a bridge is. You will be able to understand how this solution works only if you understand bridging properly. This will create a bridge interface which will be used by OVS. First of all what’s a TAP Interface? 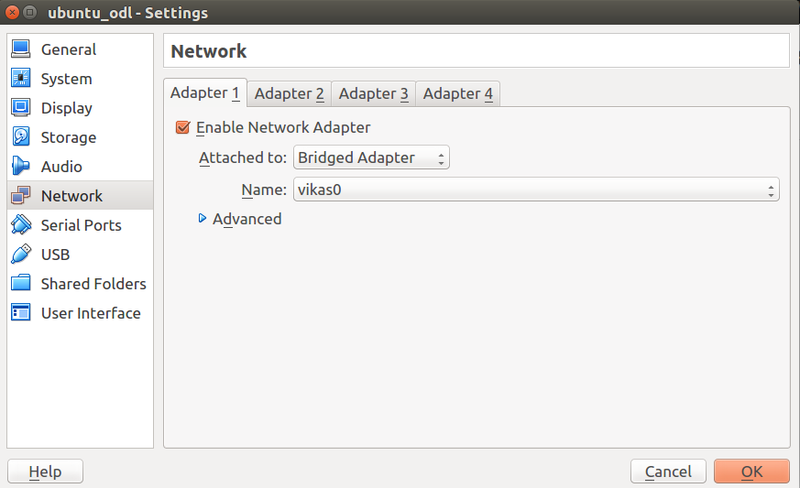 I strongly recommend going through this blog Virutal Networking : Linux Bridge, it explains what is a TAP interface and why we actually need it. 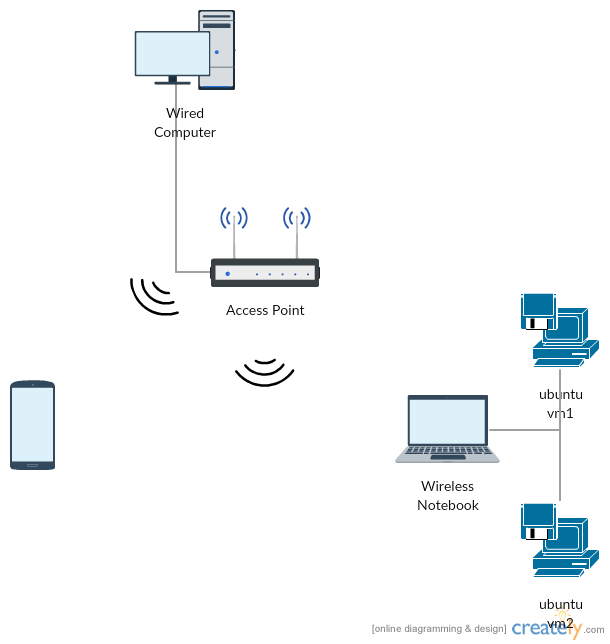 It also explains how virtual network can be created using bridging and virtual interfaces. Tap interfaces are special software entities which tell the Linux bridge to forward Ethernet frames as it is. // This connects wlp3s0 interface to our OVS. // Replace wlp3s0 with your interface name. It’s the interface which // is used by your host machine to connect to Internet. Save the inet address and netmask somewhere, you will need it later. // This will give you your gateway IP. Store it somewhere because //we will need it later. // Assigns the IP to br0 interface which was earlier assigned to wlp3s0 interface. Use the IP and netmask of wlp3s0 interface which we saved before. Please note that this step is important otherwise you will loose connectivity. The br0 interface gets the same MAC address as your wlp3s0 interface. That’s why it is important to assign it the same IP address to make sure that you don’t loose internet connectivity (If you are on a MAC filtered network). // Replace 192.168.0.1 with your gateway IP which you obtained earlier. Shut down your VM after installation is done. 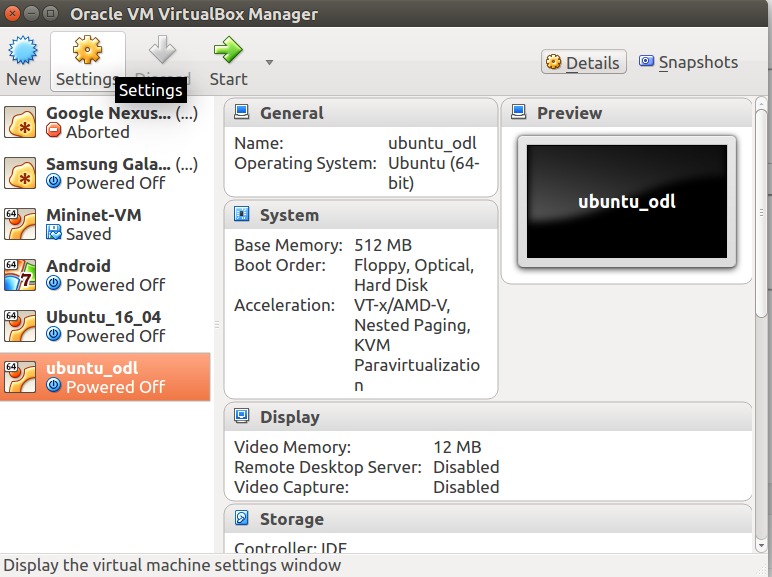 Open VM Settings. 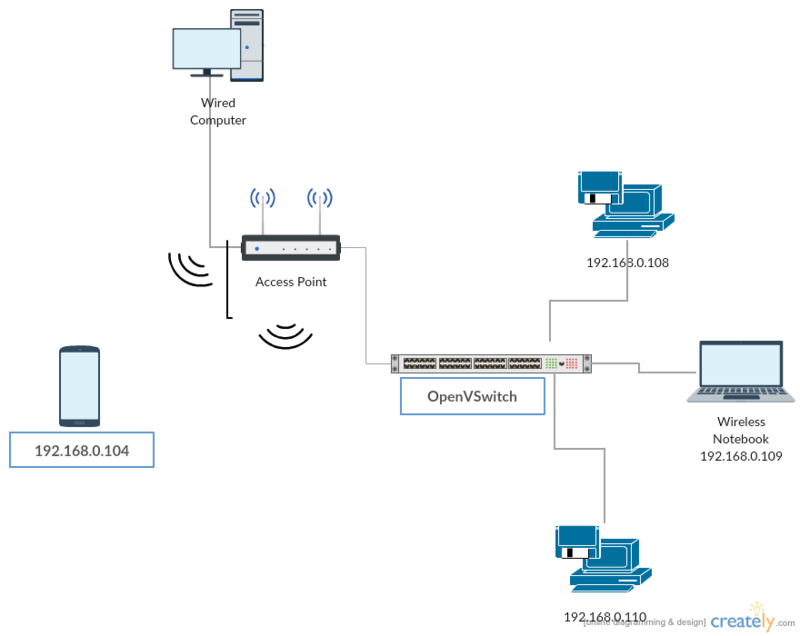 UPDATE: If you used a wireless interface with openvswitch then your VM won’t obtain the IP. Replace wlan0 with your wifi interface name.